Thermold Twin-Mag clamp. Holds two 30rd AR15 M4 Thermold or aluminum/other steel magazines securely in place. Light weight, durable, cost effective solution for faster reloading and higher capacity. You can also secure multiple magazines with the use of additional clamps. One clamp per purchase, magazines not included. (Will not work with many polymer magazines). MEGA SALE!!!! REGULAR PRICE $35.99!!! New old stock Czech Military Surplus NBC Chemical suit. Similar to a thick rain suit, this suit is designed for Chemical weapons defense. Similar suits are still in use around the world today. One size fits most adults, new old stock military surplus. NOTE: Image shows original 4pk in sleeve but you will receive 10 loose packs, no sleeves (trust me, you're not missing anything). "SEE NOT SEEN" Is the slogan of these Brand new Tenebraex KillFlash M22B-ARD, Anti-Reflective-Device for the U.S. Military issue Fujinon M-22 7x50 binoculars. These are heavy duty and can but used with other like sized optics as well. Also includes nice pull string nylon bag and manual. MEGA SALE!!! REGULAR PRICE $399.99! LBT London Bridge Trading, Navy Seal Dive Bag, LBT-1562CC NAVSEA CERTIFIED. 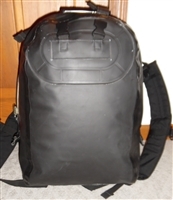 Intended to carry a medium sized combat pack and keep it dry while completely submersed. This Navy Seal bag is used but in great condition. It has been filled with air and after sitting for a week I would say its leak free. This is an awesome item for the Navy Seal collector!!! ONLY ONE IN STOCK!!! !